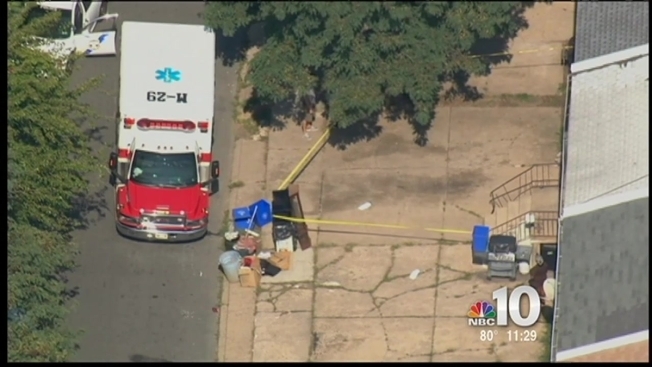 A gun was used to kill two men inside a home in the Lawncrest neighborhood of Northeast Philadelphia. The landlord called police to the home in the 500 block of Allengrove Street around 10 a.m. Thursday. Inside, police found both bodies on the ground floor -- one in the front of the home and the second in the back. One man was shot in the head, the second was also shot. A woman who'd been evicted was squatting in the home for months, according to neighbors who also described the place as a "drug house." Investigators who are trying to confirm those claims say police have not received any calls about trouble or drugs at the home. Police initially stated one victim was killed with a hammer, but they later said both suffered gunshot wounds.